Rum and reggae are the makings of a grand vacation in Jamaica, but it’s the Rastafari culture that’s piquing the interest of those Canadian travellers who are curious about more than the ingredients in their cocktail or what’s playing on the juke box. Although many believe Rastafarianism is a religion, it’s actually more of a way of life that is celebrated worldwide, from Toronto to Tokyo. Born in Jamaica in 1932, Rastafarianism was spurred by a prophecy made by Jamaican political leader Marcus Garvey and inspired by Ethiopian Emperor Haile Selassie, who today is considered to be the Messiah. For trivia buffs, the word Rastafari comes from the Emperor’s birth name, Tafari Makonnen, and the title ‘Ras’ which means ‘prince’. 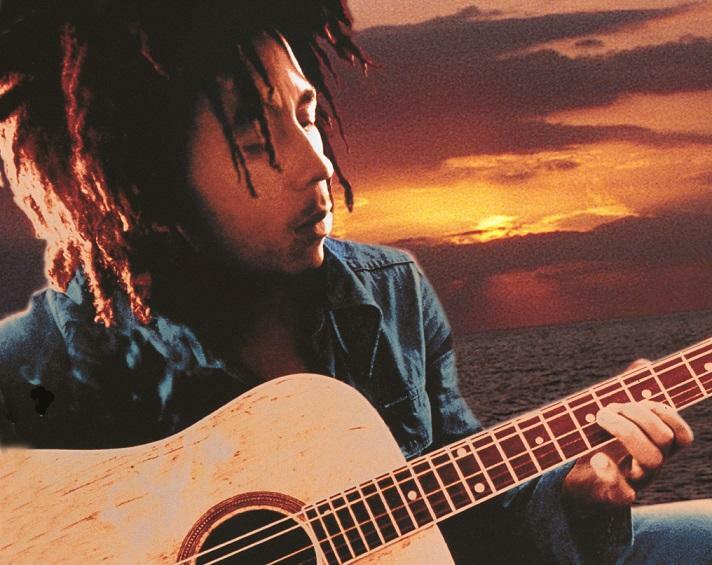 As the most iconic ambassador of Rastafarianism, Bob Marley is beloved not only for his reggae music, but also for his unfaltering advocacy for political and social justice. The dreading of the hair is modeled on the style worn by East African warriors, and today it is a symbol of the Rasta belief that forbids the cutting of hair. The red, green and yellow of the Ethiopian flag are Rasta colours. They are also in-keeping with the traditions of African culture. From the word ‘vital’, the Rastafarian diet is called ‘Ital’. Seafood, fish (unless they have scales and measure less than 30cm-long) eggs, milk and alcohol are avoided. Most Rastas do not eat meat. They cook only in clay pots and enjoy a daily jubilee of fruits and vegetables grown in their own backyards. Yes, it is against the law, but ganja – also called the ‘holy herb’ or ‘wisdom weed’ – is smoked as a sacrament. However, travellers should play it safe and offer a polite ‘no thanks’ to anyone who offers them a puff from a marijuana spliff. And remember, if you are lucky enough to get invited into a Rasta home, remove your shoes so that unfriendly spirits do not enter the house with you. 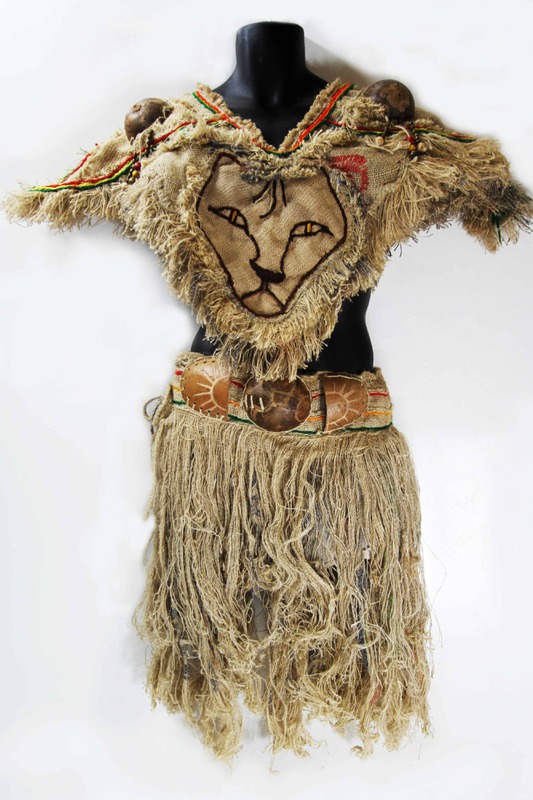 New at the Institute of Jamaica in Kingston, the ‘Rastafari: Unconquerable!’ exhibition presents a compelling collection of treasured artifacts. “This exhibition provides the Jamaica Tourist Board with an opportunity to showcase our capital city to visitors so that they can experience our unique cultural heritage,” said John Lynch, director of tourism at JTB. A collaborative effort, the exhibition was organized by the Institute of Jamaica, the National Museum and the Rastafari Millennium Council. In New Kingston, tours to the Bob Marley Museum take fans inside his bedroom, to the funky gift shop that sells the ‘Catch a Fire’ clothing line, for lunch in the Ital Restaurant and for a stroll through the medicinal herb garden. Easy to spot with its bright red, green and yellow exterior, the museum was Marley’s home until his death in 1981. 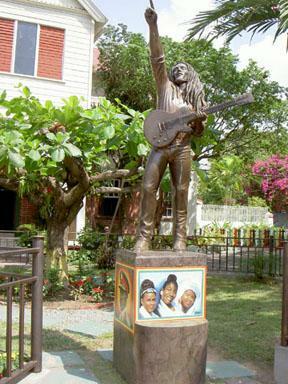 It is also where the Tuff Gong studio was located. Although visitors cannot snap photos, mementos worth seeing include platinum records, stage outfits like Marley’s famous blue denim shirt and the bullet holes in the walls from the attempted assassination in 1976. Alternatively, Rasta culture is feted in the interactive Rastafari Indigenous Village in Montego Bay. A visit to the village includes a tour through the gardens, snacks in an authentic Ital Kitchen and a musical show featuring traditional Rasta drum rhythms. For good Ital eats, Earl’s Juice Garden in Kingston is a guaranteed crowd-pleaser, dishing up platters of curried mushrooms, pea stew and pumpkin and sunflower seed shakes. Up the coast in Port Antonio, ‘Meatless Mondays’ at Mille Fleurs in the Hotel Mockingbird Hill tempts with vegetables simmered in a piquant coconut sauce. Also in Port Antonio, the Lioness Shop is owned by Sister P, who offers tastes of her homemade Ital treats served in banana leaves while she regales travellers with tales of Rasta history. 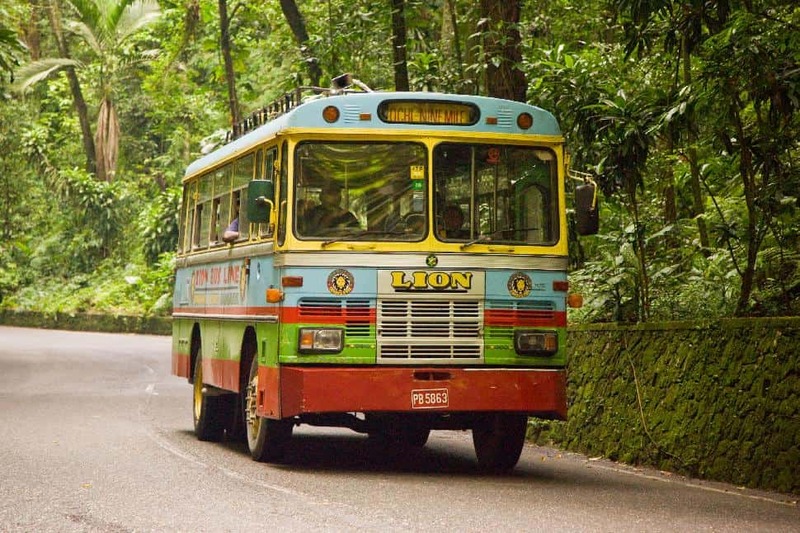 In the majestic mountains of St Ann, just 90 minutes from Ocho Rios, Nine Mile is a must-see for the Marley fans that flock there to see the cottage where the superstar was born on February 6, 1945. Rastafarian guides, some related to the Marley family, take folks inside the house to see the single bed that was immortalised in the lyrics of Is this love?, to Mount Zion Rock, which was made famous in Talkin’ Blues, and to the mausoleum where Marley is buried along with his guitar – which is either a red Fender Stratocaster or a Gibson Les Paul – depending upon who you ask. 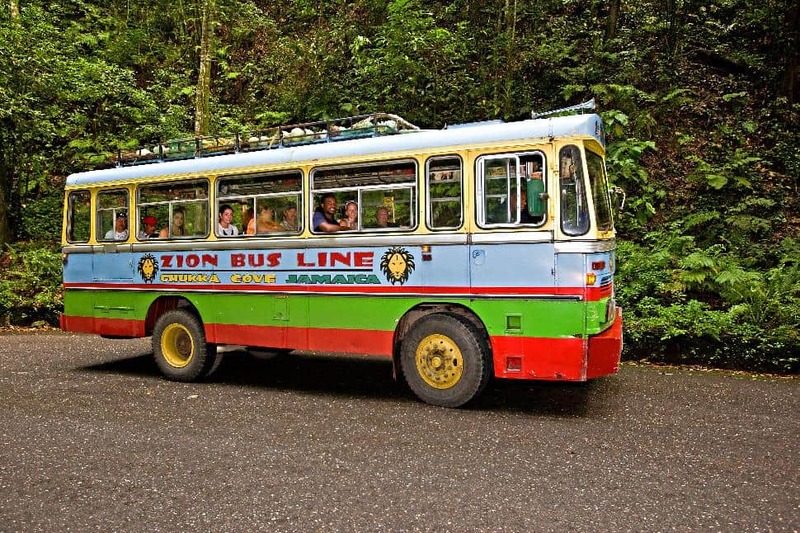 Offered by Chukka Adventures and Island Routes, the ‘Zion Bus Line’ is a spirited pilgrimage to Nine Mile aboard a painted bus that chugs along winding roads while reggae tunes serenade fans and the rum punch flows. The views, villages and music transport you into the very heart of Jamaica. The tours are sold at resorts island-wide, including all of the Sandals and Beaches resorts: “We’re finding that guests are choosing Sandals and Beaches not only for our exceptional service and activities, but also for the chance to experience the culture of the destination they’re visiting,” explained Adam Stewart, CEO at Sandals Resorts International. All fruits ripe: Everything is just great. Bashment: An event like a dancehall party. Higgla: From the British word haggler or street vendor. Irie: Everything is alright, great and cool. Mi naa jesta: I’m not kidding. Di store dem a lock up: The stores are closed. Mon: ‘Mon’ represents every person in Jamaica – man, woman and child. Nuff: Plenty and too much. Mi get salt: I was unlucky. Tam: Large hat that covers dreadlocks. Wanga gut: Someone who likes to eat all the time. Zion: The holy site in Ethiopia. • Peel the yam, sweet potato and pumpkin. Remove the seeds from the pumpkin. • Wash the callaloo, trim away the stems and chop. • Chop the cabbage; peel and slice the carrots. • Peel the cho cho, cut it lengthways into quarters and remove the heart. • Dice the cho cho and green pepper, peel and chop the tomatoes and slice the spring onions. • Place the pumpkin and root vegetables in a large saucepan with the water. Bring to a boil and simmer for ten minutes. • Add the callaloo, cabbage, cho cho, pepper, chopped tomatoes and spring onions. • Season with black pepper and simmer for 20 minutes until cooked.